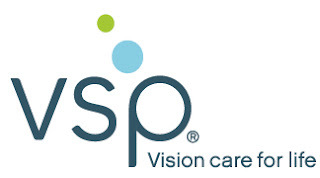 VSP - VISION SERVICE PLAN EXPERTS - DR. BLADH O.D. Vision Service Plan (VSP) has been an integral part of our doctors and it has been an emphasis in what we do here at Dr. Bladh's office. We are the VSP doctors of Diamond Bar, Walnut and Phillips Ranch that get you the most out of your vision coverage! We absolutely love helping our patients take full advantage of their vision benefits; for instance, have you ever heard of Acute EyeCare or Primary EyeCare? How about Diabetic EyeCare Plus or a 2nd pair benefit you didn't know you had? This post will explain some of the benefits that VSP members have, even thought they have no idea. Scan Health Plan has approved our location as a verified provider for all of the patients in their database to take care of their vision needs. Since our approval into their system we've seen a large uptick in the amount of Scan patients from Diamond Bar, Walnut and Phillips Ranch. We wanted to write a post about our experience and the feedback we've received from the patients. Many of the Scan Health Plan patients have no idea that they even have coverage to take care of their vision, so if you're thinking about it, let us make a call and verify the coverage for you.